One key to making smarter food choices is having a streamlined meal-prep routine, and the right tools make all the difference. Here are five favorites you can order over on Amazon! 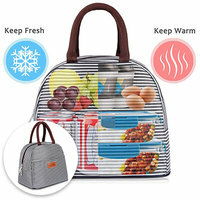 This mega-durable lunch tote could pass for a designer purse, and we are FEELING it! Because you're a grown-up and deserve a grown-up lunch bag. The bag is insulated and can keep food cold or warm for HOURS on end. We love that its stylish design doesn't scream, "Look at me, I'm a tiny cooler!" Bonus: It’s not enormous, yet it can hold a LOT of food and even a few beverages. And you can’t beat that price... under $13! We’re always on the lookout for the latest and greatest meal-prep containers, and we may have hit the jackpot with this super-affordable set. It has over 2,900 Amazon reviews and an average of 4 out of 5 stars! 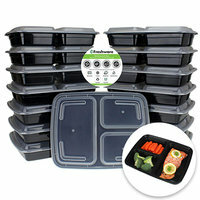 The three-compartment design is perfect for portion-controlled meals: Put veggies in the large compartment, and use the smaller sections for protein and carbs. 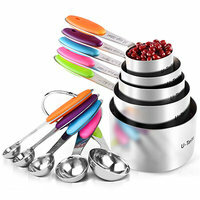 The containers are leak resistant, plus they're microwave, freezer, AND dishwasher safe. Best of all, they’re truly meal sized (unlike some smaller “meal-prep” containers that can’t handle our love of large portions with small calorie counts). 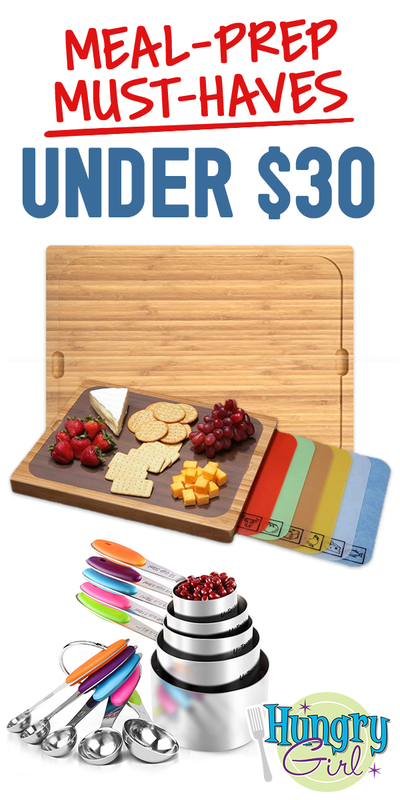 This space-saving cutting board set is the stuff dreams are made of... assuming you dream of wildly helpful kitchen tools like we do. 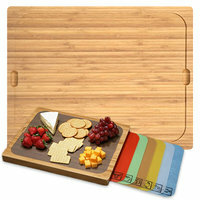 The main bamboo board houses seven color-coded cutting mats that can be placed on top of the board. So you get the benefit of a sturdy surface paired with the advantage of different mats for different food groups. 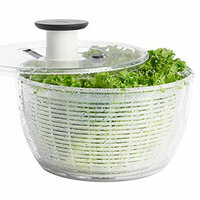 (Trust us... You don’t want to cut raw chicken on the same surface you slice your veggies.) The mats even have cute little illustrations so you know which food to prepare on which mat. Genius! 1-Click wonderful! FYI: As an Amazon Associate, we may receive compensation from some of these links. Prices and availability accurate at time of publication and subject to change. Happy October 5th, National Do Something Nice Day! Why not cook up some sweet treats to share with your friends? Our Double Chocolate Blender Muffins are easy to make and have just 92 calories each! Help a pal out! Click "Send to a Friend," so your buddies can stock up.